Dinesh Karthik played a calm knock to guide India to victory as the hosts beat the West Indies by 5 wickets in the first T20 international at the Eden Gardens in Kolkata on Sunday. After winning the toss and choosing to field, Umesh Yadav provided an ideal start by getting rid of Dinesh Ramdin for 2 runs. In form batsman Shai Hope looked good in his brief stay, until he was run out for 14 after a horrible mixup that saw both non striker Shimron Hetmeyer and him land at the same end of the pitch. Jasprit Bumrah then joined the party by claiming the important wicket of Hetmyer, who skied one to Karthik while attempting the pull. 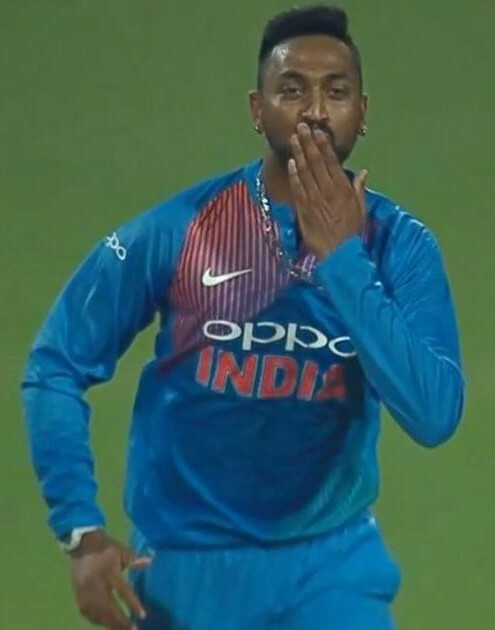 Debutant Krunal Pandya had a wonderful debut, claiming the wicket of Kieron Pollard and also taking India past the finishing line with a breezy knock of 21 not out. 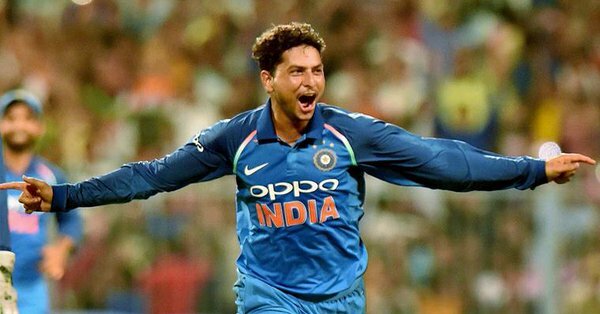 Kuldeep Yadav tormented the the visitors lower middle order by claiming the wickets of Darren Bravo, Rovman Powell and Carlos Brathwaite. Fabian Allen in the end made a brilliant cameo to help West Indies go past 100 runs, before falling to another debutant Khaleel Ahmed. They eventually finished up with 109/8 in their alloted 20 overs. Chasing a paltry total of 110 runs, India suffered an early jolt when they lost both their openers to Oshane Thomas, leaving the home side reeling at 16/2. Brathwaite claimed the wickets of Lokesh Rahul and dashing wicketkeeper Rishabh Pant who played an atrocious looking shot as the hosts slumped to 45/4. Karthik and Manish Pandey then steadied the ship by adding a valuable 38 run stand to bring the home side within touching distance of the target. After Pandey’s departure, Karthik batted sensibly along with Krunal Pandya to help India go one up in the T20I series. The hosts eventually reached the target with 13 balls to spare. The action now shifts to Lucknow which will host the second T20 on Tuesday.